You need to be on the Yale network or using remote access (VPN or Proxy Server) to register for Yale-licensed applications. This app provides full offline content to the DynaMed Plus point-of-care resource. The application and data require approximately 1GB free on your device. To start the download process, go to DynaMed Plus, on the Yale or YNHH network and click on the link "Mobile Use - Get the DynaMed Plus Mobile App". Enter your email address and follow the instructions provided in the email you receive. Available on Android and iOS. Requires at least 1GB of free storage space. An active Internet connection - either WiFi or cellular data - is required to access UpToDate content. The application is free but users MUST register to create a personal username and password in order to use the UpToDate mobile application. You must be on the Yale University or Yale-New Haven Hospital network (or using remote access) to register. Go to UptoDate Online on a computer and click on "Login/Register" or the "Register Now" link and complete the registration form. You will be prompted to enter the username/password you just created the first time you use the App. EPIC users can register with UpToDate from within the EPIC system. This will link your EPIC login with your UpToDate personal account and allow you to accumulate AMA Category 1 CME by reading UpToDate content while in the EPIC system. VisualDx is a diagnostic decision support system designed by clinicians to aid medical professionals in the diagnosis of visually identifiable diseases. An active Internet connection is required to use VisualDx. You must register for a personal account while on either the Yale University or YNHH Secure WiFi network (or via a Yale VPN connection). To register, go to http://www.visualdx.com/visualdx and click on the “Get the Mobile App” link. After registering, go to the Apple's Appstore of the Google Playstore to download the app. Then activate it with the username and password you created on the online version of VisualDx. Available on Android and iOS. Data is not stored locally. To get the core drug database, download the "IBM Micromedex Drug Reference" app and enter Yale's subscription password to activate. The password is available through the online version of Micromedex by clicking on the "Download Center" link when on the Yale University or Yale-New Haven Hospital network (or using remote access). There are apps available for Drug Interactions, IV Compatibility, and NeoFax/Pediatrics. Each app requires a unique institutional password. NeoFax/Pediatrics password is found by clicking on the link for Neofax/Pediatrics from the online version of Micromedex and then clicking on mobile. This app provides full access on a small form factor device to the extensive content in Elsevier's Clinical Key. Clinical Key includes hundreds of textbooks, journal articles and multimedia include an extensive collection of procedures videos and step by step illustrated guides. An active Internet connection - either WiFi or cellular data - is required to access this content. The application is free, but users MUST register for an account by going to https://www.clinicalkey.com on a computer and clicking on the “Register” link while on the Yale University or Yale-New Haven Hospital network (or using remote access). Download and open the App. When prompted, enter the username and password you just created. Available on Android and iOS. Requires around 7MB of storage space. Read by QxMD helps you keep up-to-date with the latest research in your area of practice. It is available through the Apple App Store or the Android Play Store. Download the app and create an account. Once you are logged in on the mobile choose settings and choose Yale as your institution. An active Internet connection - either WiFi or cellular data - is required to access content and you must create a personal username and password before you can access StatRef Mobile. Access the online STAT!Ref site and create a “My Stat!Ref” account. Then click the “Temporary Login Account” tab and select “Activate/Renew” . This will authorize the password for the online mobile application for one year. This is the username/password you will use when prompted by the Stat!Ref Mobile App. AccessMedicine is an extensive collection of books, multimedia and other special features are available online in a format that is optimized for small form factor devices (responsive design). This collection includes Harrison's Online, dozens of other major textbooks including the Lange Basic Sciences and Clinical Series and a number of useful point of care resources and tools. An active Internet connection is required on either a Yale/YNHH network connection or VPN remote access. The Electronic Preventive Services Selector (ePSS) is an application designed by the Agency for Healthcare Research and Quality (AHRQ) to help primary care clinicians identify the screening, counseling, and preventive medication services that are appropriate for their patients. 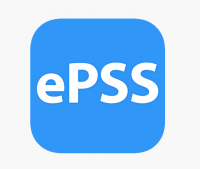 The ePSS is available both as a web application and a mobile application. Information is based on the current recommendations of the U.S. Preventive Services Task Force. The free basic version of epocrates includes a drug database, interaction checker and calculators. There is also a premium version called Epocrates Plus which require an annual paid subscription. ‘Calculate’ is a clinical calculator and decision support tool for iOS and Android devices, freely available to the medical community. 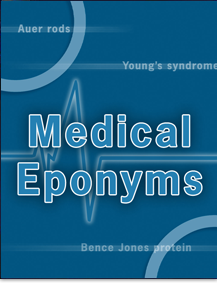 Focused on highlighting tools which are actually useful in clinical practice and serve to impact diagnosis, treatment or determining prognosis..
Medical Eponyms lists over 1,700 common and obscure medical eponyms (e.g., Rovsing's sign, Virchow's node) with descriptions. A medical and surgical differential diagnosis tool from McGraw-Hill Medical. 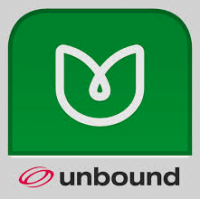 Based on content from Lange series and provided on the UnboundMedicine platform. For products with large amounts of locally stored content like DynaMed Plus and UCentral you will install the shell application without content to your device. The second part of the installation will require you to download the data over the Internet through a cellular or a WiFi connection. Make sure you have a speedy and stable connection before you begin the download. If you have a limited data plan, use WiFi for the download. Create an account through the provider's Website before you proceed. The first time you tap the icon for the resource you will be prompted to enter the username and password you just created. This will initiate the content download.